Chris Cadden reckons attack is the best form of defence for Motherwell as they look to guard against a nervy relegation scrap. Steelmen boss Stephen Robinson went with a bold three-man attack at Ibrox on Saturday and was unlucky not to see his side come away with all three points. And that convinced wideman Cadden his side should use their performance during the 1-1 draw with Rangers as a blueprint for a danger zone escape act. Tenth-placed Well sit just a point above Lanarkshire rivals Hamilton ahead of Wednesday's crucial derby clash at Fir Park and a win for Accies would leave Motherwell staring at a second play-off battle in the space of two years. But Scotland Under-21 attacker Cadden says his team are ready to take the fight to Martin Canning's side. He said: "Saturday's result was massive for us. It speaks volumes for the team that when we came in after the game at Ibrox we were disappointed not to have got the three points. "The fact their keeper Wes Foderingham was man of the match says a lot about our performance. "We've played Rangers a few times this season and had chances to beat them but just not managed to get it done. But after Saturday we can take real confidence from that. "We played with three up and really had a go. The thinking behind the gaffer's decision was, 'What's the point in just sitting in? Let's take the game to them'. "We got in their faces. We even had Elliott Frear and myself playing as wing-backs and were more attacking minded than anything else, so credit to the gaffer for making that call because it worked. "We took the lead early on with Louis Moult's header and were very unlucky not to take the three points. "We're at our best when we're on the front foot. We've got players like Stephen Pearson, Craig Clay and Ryan Bowman who want to get forward all the time and when they do, that's when you see the best of us. "Your team is only as good as your strikers but I think the two we have up front in Scott McDonald and Moulty are as good as any in the league. When they are on form there are hardly any sides who can stop them. "It will be like a cup final on Wednesday night so if we take the same attitude and desire that we showed at the weekend into it then there will be a good chance we can get the win." Hamilton skipper Michael Devlin has highlighted the stand-alone nature of the match. 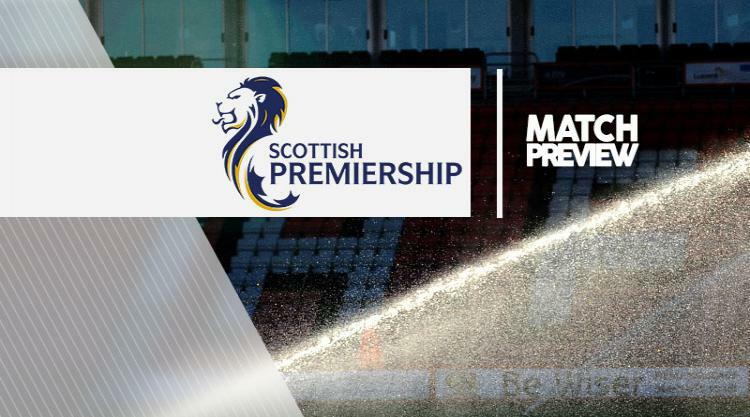 Martin Canning's side came off the bottom of the Ladbrokes Premiership on Saturday, two points ahead of Inverness, with a 1-0 win over St Johnstone at the SuperSeal stadium. The 23-year-old said: "The league is still tight just now. Dundee are in eighth place and three points ahead of us. "There is little in it and that is what one win or two wins can do for you. "A win on Wednesday would be massive. "It is a derby, the fans want the win, the players and manager wants the win. "Forget what that does for you in the league, it is a big game anyway." Devlin expects the battle to avoid the drop will go until the last minute of the last game. The Accies defender said: "I think it is looking like that at this point. You need to win three or four games to take yourself out of it."